Spain was a delightful surprise to us. We chose to go there because we were going to Paris to visit our son and daughter-in-law, and we wanted to tag on a visit to another area – you know, as long as we were in the neighborhood. 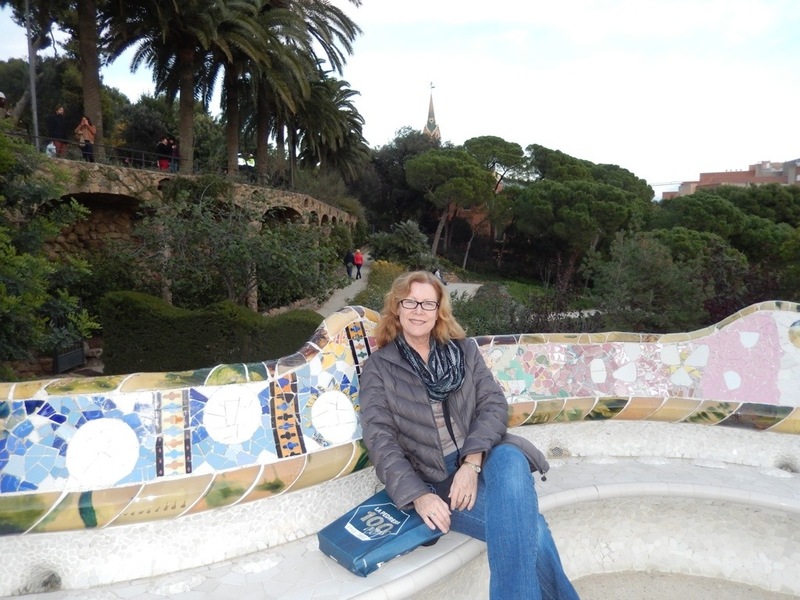 We narrowed our choice down to Southern Spain and Tuscany, because both areas were available via our time-share. We chose Spain because chances were the weather would be warmer. Also, I was afraid if we went to Tuscany in late November I would never get Bob to go back there when we could roam the countryside without lugging heavy coats around. He would want to try some place different and new. I couldn’t risk it. Barcelona was the icing on our Spanish cake. It reminds me of New York City except when I’ve visited New York City I was always ready to get out of the city, but in Barcelona I wanted to stay longer. 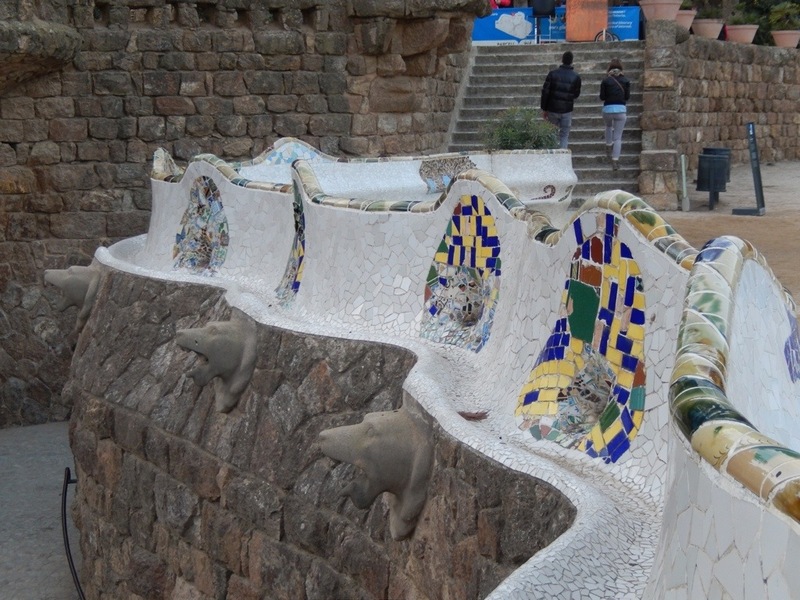 It is a very artsy city with a strong influence by Antoni Gaudi. 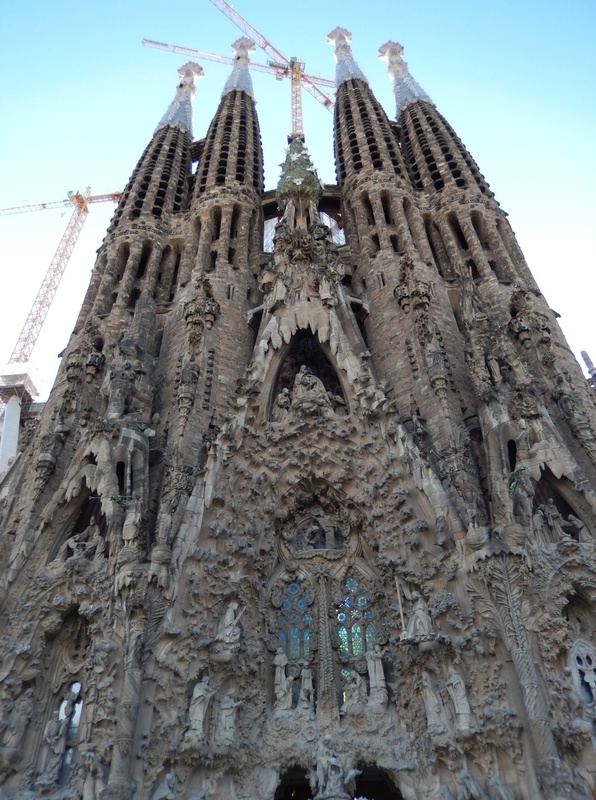 Gaudi was the architect/artist who designed The Sagrada Familia, the unfinished basilica that looms large over the city. 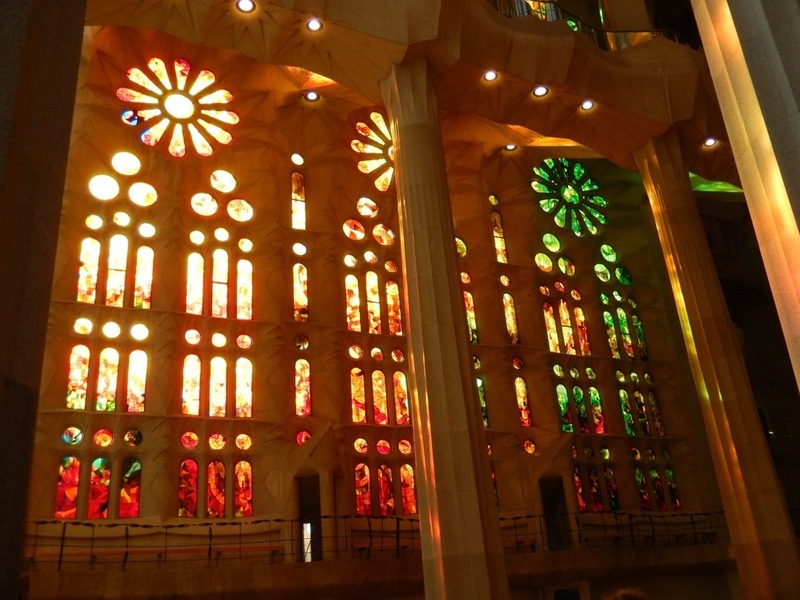 He wanted a cathedral that would draw people to worship. 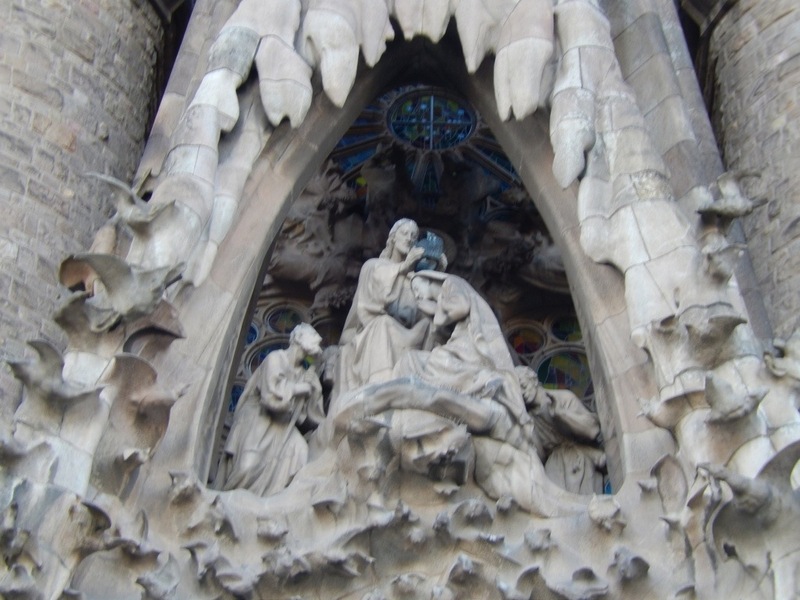 The story of Jesus is depicted all over the outside of it. 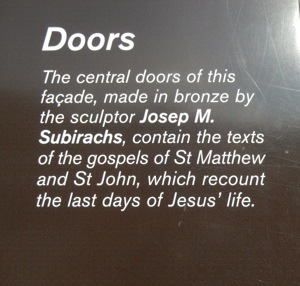 The front doors have the gospel carved into them. Once inside his influence from nature takes over. 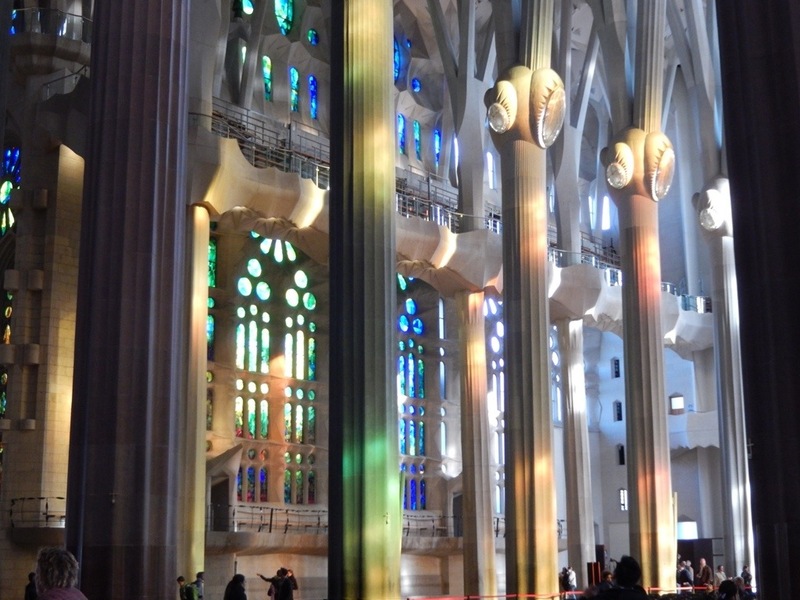 He was fascinated by light and his use of stained glass combined with columns that look like trees transforms the interior to a symphony of color. 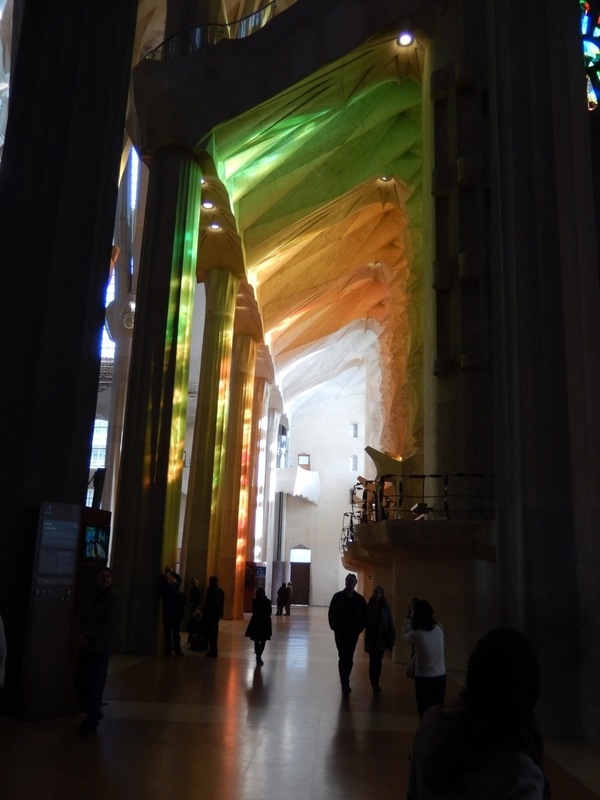 I will admit that the inside of the cathedral emphasized Gaudi so much that I think it may have distressed the man, who died when he was run over by a tram in 1926 just before his 74th birthday. 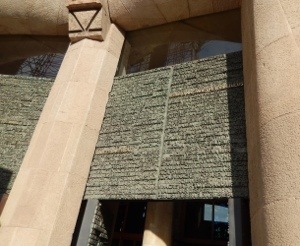 (To this day, the cathedral is unfinished; construction is on-going.) The outside, though, dramatically moved me to worship. Jesus was glorified. 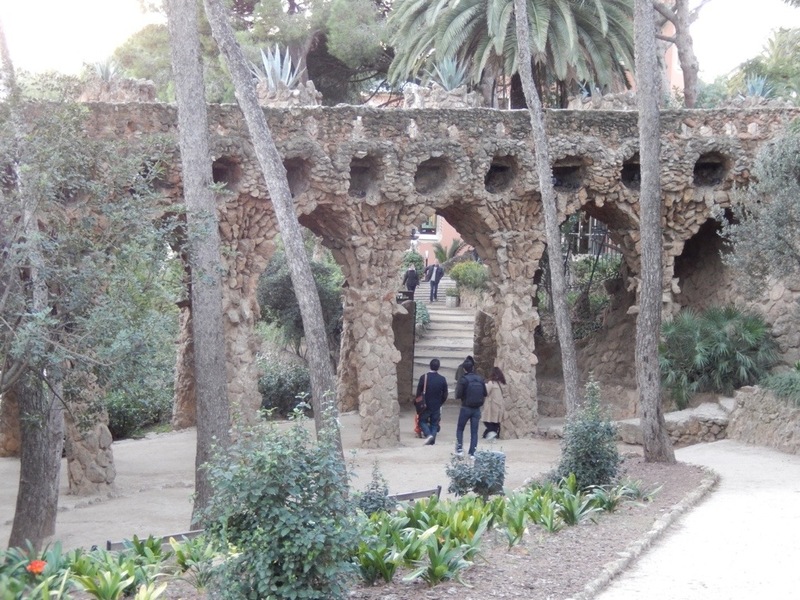 Park Guell is another of Gaudi’s creations. The serpentine benches alone were worth seeing, but the entire park is a wonderland. Now I have to stop myself from posting more pictures. 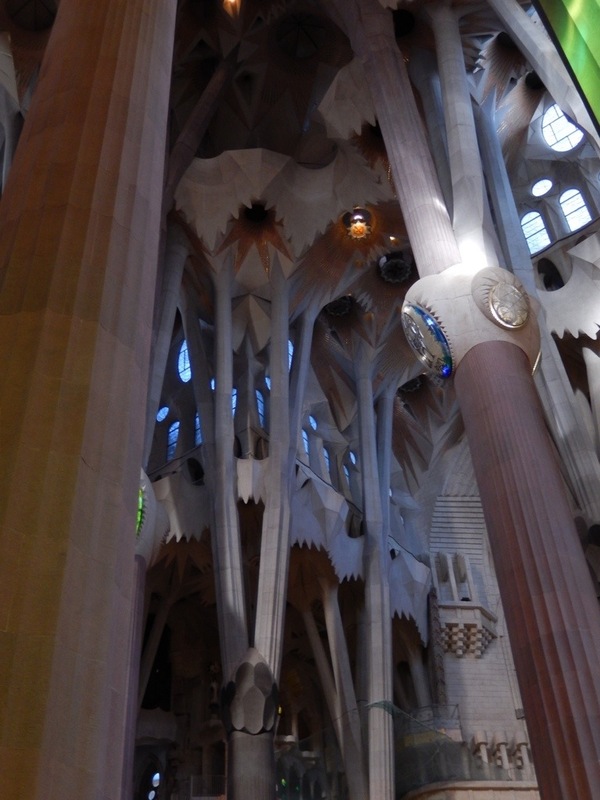 I haven’t even included Gaudi’s houses around Barcelona, but I guess there’s always facebook for more. A Beautifuly Experience. Take lots of pictures & post, post, post…. Thank you, Vanessa. I’m trying!